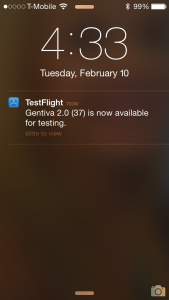 ARTICLE: TestFlightApp.com goes away February 26, 2015 – use new iOS 8 Test Flight App | Media Sourcery, Inc. The website we have utilized for beta testing of apps, TestFlightApp.com, shuts down on February 26th, 2015. All app testing will be moved to the iOS8 TestFlight app and managed through Apple’s iTunes Connect. As a developer, and a user there are many more PROs to this than CONs. 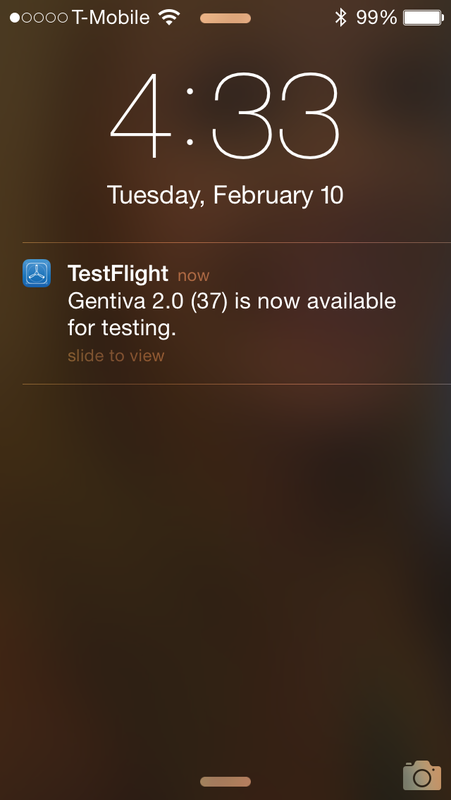 The new TestFlight app for iOS8 radically simplifies the process of beta testing apps. There were several places where that process could get stuck and could indeed go wrong. The device ID mapping is done by Apple. No changes in the provisioning profile are needed. No Android. Obviously, since Apple acquired them, support for this has been dropped. It was an advantage to have all testers and testing in one web site. Beta builds only available for 30 days. After that time, the developer must submit another build. No TestFlight SDK. 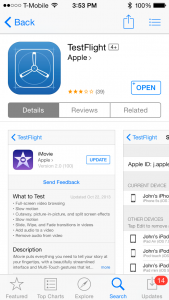 The developer could including TestFlight’s SDK and get more data on what parts of the app the users was testing. These feature has not yet been moved over to the new TestFlight app (if anyone has found it, please let us know). Wait for Beta App Review. Apps do have to be submitted for “Beta App Review”. The first time this is done, it can take a few hours to a couple of days. After that, it is quite quick, if the developer answers a question concerning the level of changes in this build (fewer changes do not apparently require an extensive review). Issues with Gmail invites. We’ve run across one issue with invites receive in Gmail that were not able to acknowledge the TestFlight invitation and thus allow the app to be run under the TestFlight app. Works only with iOS8. This is not as big an issue as it was. We assume Apple waiting until the adoption rate was high enough before discontinuing the Test Flight app web service. If this is an upgrade to an existing app store app by the same name, the Test Flight app will write over it. The user will be notified of this with a alert notification. The user can always get the production version back via the app store. Overall, the PROs far outweigh the CONs, and hopefully some of the other pieces will show up in the future. Existing users can be exported from TestFlightApp.com into CSV files for import as external users on Apple’s iTunesConnect web site (where user management is now controlled). Detailed instructions here. This post originally appeared on our CEO’s blog.